What a lovely bracelet! Each crystal sparkled beautifully and so dainty! Absolutely perfect and even more beautiful in person! 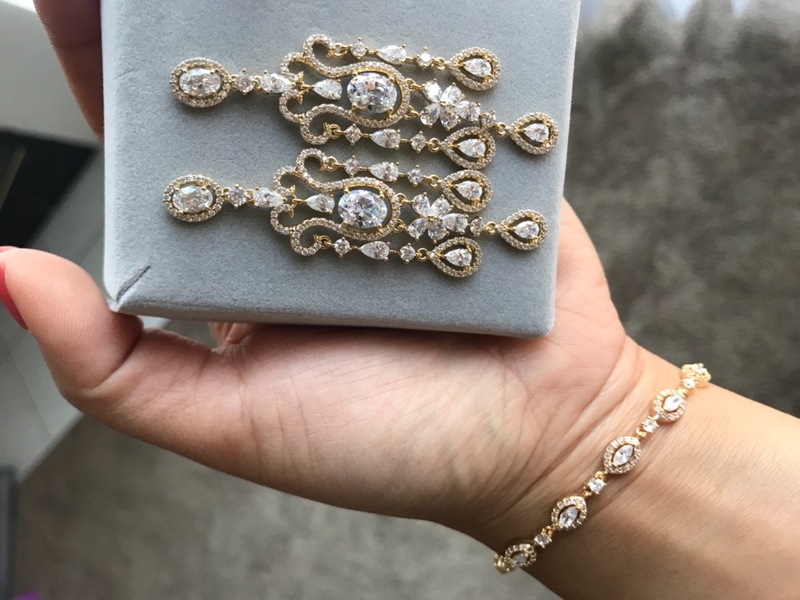 I’ve been eyeing this bracelet for a while now after I purchased the classic tennis bracelet in gold previously a few months ago to accessorize for my upcoming wedding. I thought it would pair well together and it does! I can’t wait to put everything together with my wedding dress. I also ordered a regal chandelier earrings in gold and a necklace. Not only is Amyobridal jewelry is just gorgeous and danity, the quality is there too! I love my purchases. It fits perfectly with my earrings and necklace.